Receive FREE Between the Glass Grids on Par­a­digm Win­dows! Receive Free Between the Glass Grids on Par­a­digm Win­dows through­out September! Offer is valid on Par­a­digm prod­ucts only. *Free Grids on Par­a­digm Win­dows prod­ucts dur­ing the month of Sep­tem­ber and Octo­ber. Valid on win­dow instal­la­tion pro­pos­als signed between Sep­tem­ber 1 — Octo­ber 31, 2015. Min­i­mum of 5 replace­ment win­dows for free grids dis­count. Includes flat and con­tour grids. Excludes Dia­mond, SDL and Spe­cialty Grids. Look at a recent roof­ing job com­pleted by our staff. Pro­vid­ing supe­rior ser­vice for 35 years! The detail in this job is amaz­ing. Take a look at this arti­cle by Healthy Build­ing Sci­ence on Daylighting. 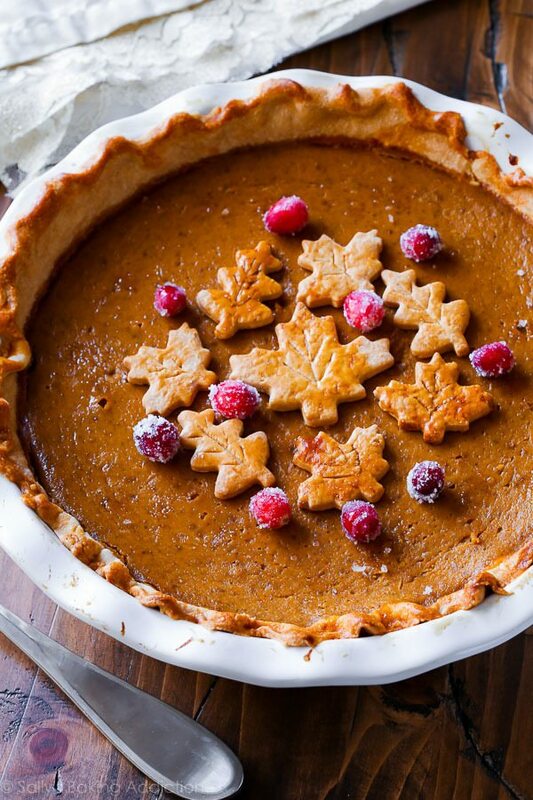 Try this tasty recipe! Visit us on our social media pages and let us know what you think! Copy­right © 2014. All Rights Reserved. Fall Sav­ings Start Now. Save on Gut­ter Pro­tec­tion and Windows. The Leaves Will Be Falling soon! Save 10% Now On Gut­ter­Top­per Installations! Offer is valid on Gut­ter­Top­per prod­ucts only. *10% off on Gut­ter­Top­per prod­ucts dur­ing the month of Octo­ber. Valid on Gut­ter­Top­per instal­la­tion pro­pos­als signed between Octo­ber 1 — Novem­ber 15, 2015. Not valid with any other dis­count or pro­mo­tion. Dis­count does not have a cash value, and is not valid on past signed proposals. Receive Free Between the Glass Grids on Par­a­digm Win­dows through­out October! *Free Grids on Par­a­digm Win­dows prod­ucts dur­ing the month of Octo­ber. Valid on win­dow instal­la­tion pro­pos­als signed between Octo­ber 1 — Octo­ber 31, 2015. Min­i­mum of 5 replace­ment win­dows for free grids dis­count. Includes flat and con­tour grids. Excludes Dia­mond, SDL and Spe­cialty Grids. remod­el­ing your home! Clients rave about Jeremy’s detailed pre­sen­ta­tions, per­son­al­ized con­sul­ta­tions, and expert eval­u­a­tions on all aspects of their home! Check out our New Insta­gram Page! 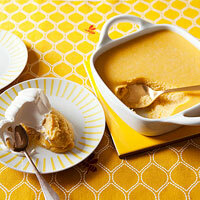 Cel­e­brate Fall with this tasty recipe! Our objec­tive is to pro­vide our cus­tomers with the high­est qual­ity roof­ing, sid­ing, win­dows, gut­ters, and entry door work in the North­ern Vir­ginia & Mary­land areas by offer­ing expe­ri­ence, effi­ciency, high qual­ity prod­ucts, cus­tomized projects, and the best cus­tomer ser­vice. Our goal is 100% cus­tomer satisfaction. Dis­count on Cer­tain­teed Main­street and Mono­gram Siding! Here are some of our recent Roof Replace­ment Photos! Matt Mar­shall main­tains the fam­ily name of excel­lence. He is the field super­vi­sor for Mar­shall Roof­ing, Sid­ing, and Win­dows. Matt super­vises new roof­ing projects, and com­pletes a final inspec­tion of your new roof! Clients are always happy and assured when Matt arrives and does the final roof­ing inspection. We are a proud part­ner of Pella Win­dows. Pella Wood Win­dows are desir­able for their sleek design and they are made of the best prod­ucts that will last for years to come! They pro­vide an air­tight solu­tion to old drafty win­dows. You may also wish to add optional mini blinds inside your new windows! For more infor­ma­tion, or a free esti­mate call or email us today! The Sav­ings on Sid­ing Continues! Offer is valid on Cer­tain­teed Mono­gram and Cer­tain­teed Main­Street prod­ucts only. Offer valid on mate­ri­als only. *Buy 5 squares and get the 6th square free is valid on Cer­tain­teed Main­street and Mono­gram sid­ing only. Valid on sid­ing instal­la­tion pro­pos­als signed between Decem­ber 1 — Decem­ber 31, 2015. Not valid with any other dis­count or pro­mo­tion. Dis­count does not have a cash value, and is not valid on past signed proposals. Meet Troy, the Oper­a­tions Man­ager at Mar­shall Roof­ing, Sid­ing & Win­dows. Hav­ing grown up in this com­pany, Troy is knowl­edge­able and eager to serve his clients with pro­fes­sion­al­ism and with cus­tomer ser­vice that is cus­tom­ary for the Mar­shall Roof­ing name. Ice damming is when ice forms on your roof that pre­vents melt­ing snow from flow­ing off of your roof. There are steps you can take now to pre­vent this dur­ing snow season. Also ask about our Hot Top­per Gut­ter Pro­tec­tion sys­tem. It melts snow! Our objec­tive is to pro­vide our cus­tomers with the high­est qual­ity roof­ing, sid­ing, win­dows, gut­ters, and entry door work in the North­ern Vir­ginia & Mary­land areas by offer­ing expe­ri­ence, effi­ciency, high qual­ity prod­ucts, cus­tomized projects, and the best cus­tomer ser­vice. Our goal is 100% cus­tomer sat­is­fac­tion. Copy­right © 2015. All Rights Reserved. We are so happy with the suc­cess of 2015. We cel­e­brated our 35th year anniver­sary, we re-roofed more roofs than any year, and we received more refer­rals than any other year! Through­out 2015, with the help of our part­ners, we were able to give a new dis­count every month to cel­e­brate our 35th annivesary! Thank you to our part­ners, and thank you clients for join­ing us in cel­e­brat­ing our longevity! We again, sin­cerely thank you for your patron­age, and will­ing­ness to trust us with your homes and your fam­ily and friends’. We look for­ward to a great 2016. We con­tinue to grow and edu­cate our staff in the lat­est home ren­o­va­tion prod­ucts and tech­niques. We are com­mit­ted to serv­ing you! 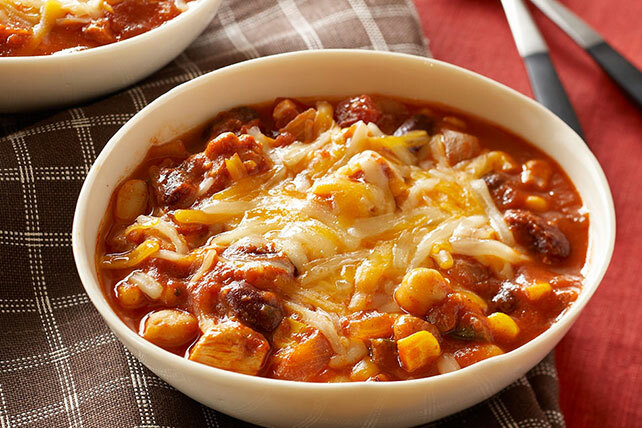 Warm up this Jan­u­ary with this chicken chili crock pot recipe! We can install or replace your sky­lights or sky­tubes. Sky­lights pro­vide nat­ural light and char­ac­ter to your room. In the day­time save energy with nat­ural light. Nat­ural light is also known to improve vitality! Sky­Tubes are tubu­lar sky­lights pow­ered by a solar panel and recharge­able Ni-MH bat­ter­ies. They pro­vide added light and save on energy! *Receive free between the glass grids when you pur­chase a min­i­mum of 4 pre­mium Par­a­digm Win­dows. Not valid with any other dis­count or pro­mo­tion. Offer does not have a cash value. Con­tract must be signed between March 1 — March 31, 2016. Spring is the per­fect time to start your home renovations! Check for loose or leaky gut­ters. Improper drainage can lead to water in the base­ment or crawl space. Make sure down­spouts drain away from the foun­da­tion and are clear and free of debris. Low areas in the yard or next to the foun­da­tion should be filled with com­pacted soil. Spring rains can cause yard flood­ing, which can lead to foun­da­tion flood­ing and dam­age. Also, when water pools in these low areas in sum­mer, it cre­ates a breed­ing ground for insects. Use a screw­driver to probe the wood trim around win­dows, doors, rail­ings and decks. Make repairs now before the spring rains do more dam­age to the exposed wood. From the ground, exam­ine roof shin­gles to see if any were lost or dam­aged dur­ing win­ter. If your home has an older roof cov­er­ing, you may want to start a bud­get for replace­ment. The sum­mer sun can really dam­age roof shin­gles. Shin­gles that are cracked, buck­led or loose or are miss­ing gran­ules need to be replaced. Flash­ing around plumb­ing vents, sky­lights and chim­neys need to be checked and repaired by a qual­i­fied roofer. Our vision is brought to life with expe­ri­enced esti­ma­tors. Our esti­ma­tors have expert prod­uct knowl­edge and expe­ri­ence with match­ing the cus­tomer to the right prod­ucts. This, along with our sig­na­ture cus­tomer ser­vice, is what makes us Mar­shall Roof­ing, Sid­ing & Win­dows, a name you can trust. Copy­right © 2016 All Rights Reserved. Cer­tain­teed Land­mark shin­gles trans­form out­dated and worn shin­gles for a sleek upgrade to older roofs. Land­mark is t wo-piece lam­i­nated fiber glass-based con­struc­tion. These shin­gles are 229 / 240 lbs. per square. Marshall Roofing Newsletter October 2016 with Discounts! Are in search of new win­dows? Par­a­digm is offer­ing an amaz­ing deal this month. Pur­chase 8 win­dows and receive the 9th win­dow free*! Email us for your free estimate! *Not valid on con­tracts signed before Octo­ber 11, 2016 or after Octo­ber 31, 2016. Not Valid with any other dis­count or pro­mo­tion. Valid on Par­a­digm Pre­mium win­dows only. No cash value. 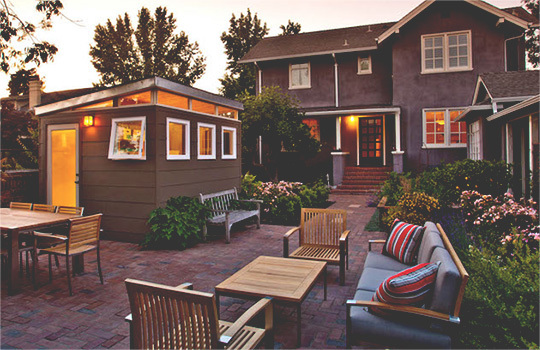 Your shed can be func­tional and match the theme of your home. Check out this blog from our part­ners on func­tional and trendy new sheds for your home. Increas­ing value and curb appeal to your home gives you a great feel­ing to come home to. Upgrade your deck­ing, sid­ing, trim, shut­ters, sof­fit and fas­cia for a bright new look. How about adding cus­tom pil­lars, sky­lights, sun tun­nels, or a new front entry or patio door. All of these upgrades will increase the value and curb appeal of your home. Our car­pen­try divi­sion can make your vision a real­ity, and that’s why our cus­tomers call Mar­shall Roof­ing for their home improve­ment needs. Posted in Blog | Comments Off on Marshall Roofing Newsletter October 2016 with Discounts! You are currently browsing the Marshall Roofing blog archives for October, 2016.